Quality health care is critical when deciding if a skilled nursing or rehabilitation facility will be the right fit for you or your loved one. 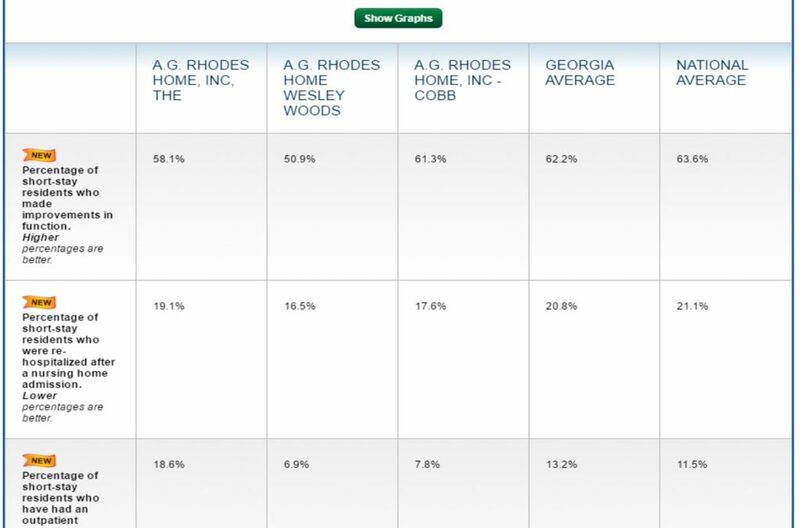 At A.G. Rhodes we don’t just comply with rules and regulations, we exceed standards. Nursing Home Compare has detailed information about every Medicare and Medicaid-certified nursing home in the country. 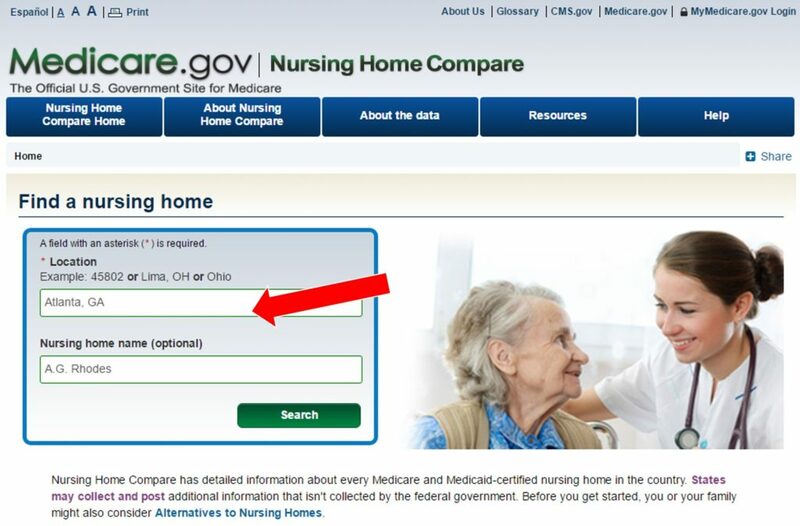 Simply enter a location and name (optional) in the search box to get data from various nursing homes. 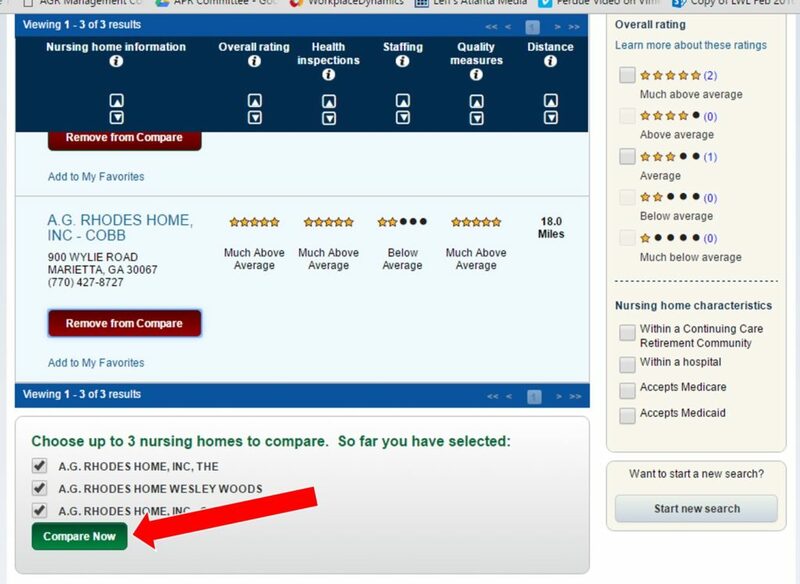 You can select up to three nursing homes from the search results, click “Add to Compare,” and “Compare Now” to compare them with each other. 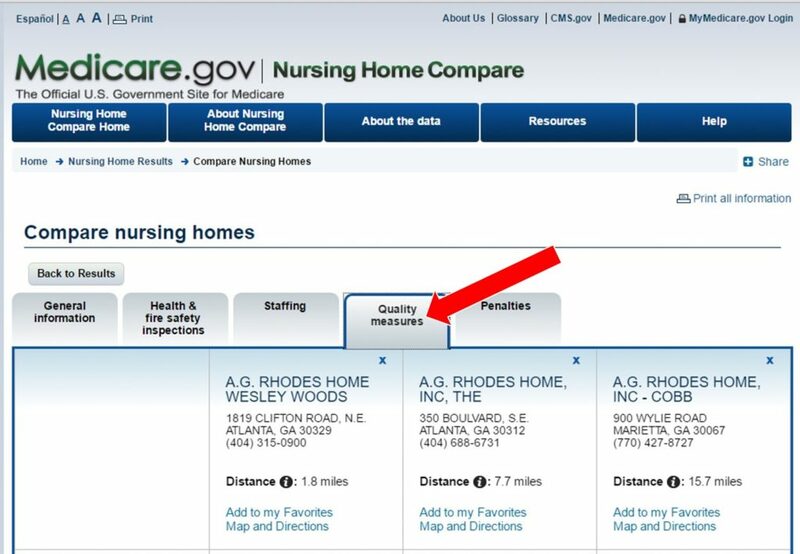 Once your nursing homes are in your search results, click on the “Quality Measure” tab, and scroll down to access quality data for short-stay and long-stay residents. 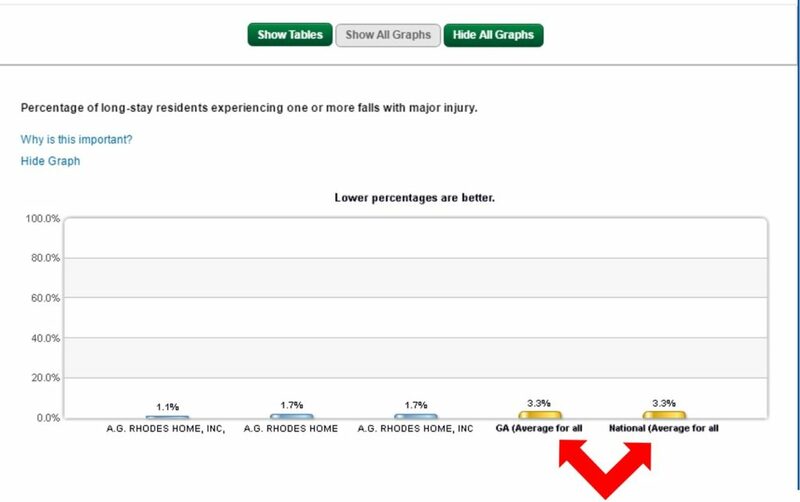 When reviewing the quality data, which you can do so in table or graph form, statewide and nationwide averages are also made available. In addition to the quality data, you can also review the latest health inspection results, which are commonly known as state survey results. 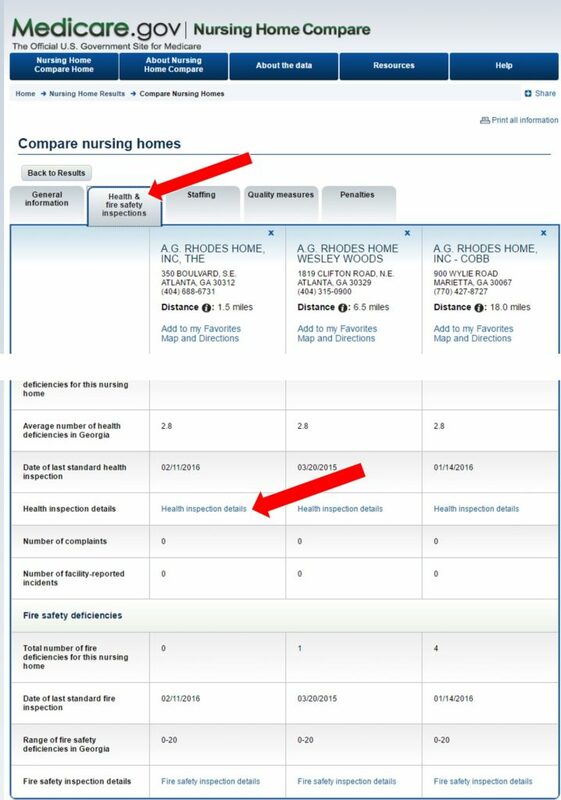 When you find a nursing home or nursing homes to review, click on the “Health & Fire Safety Inspections” tab, and scroll down to see the “Health inspection details”. Nursing homes keep a hard copy of these results in the facility so you may also request to see a copy there.